As you all know, I am actively trying to raise money for a ministry/mobilization van to use in Mexico. 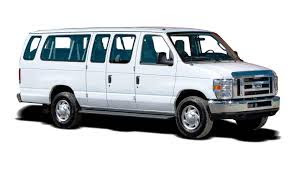 This van is needed to transport the teams and interns coming for 2016 summer and beyond! Other missionaries will also be able to rent it, to use for their teams or events as well! There are some opportunities to give, as the year comes to an end! 1. I put a blog out about a Jamberry fundraiser that is going on NOW- December 22. You can read about it here.... 40% of the money you spend will go directly to the van! Order now!!! 2. An anonymous donor has put up a challenge. They will match money that is raised from now until the end of the year, up to $1000. How to give... go to Camino Globals Website and then put Specific Project: 063586 in the designation section.